Handmade earrings created in my own unique organic style and texture, inspired by the endless wild coastlines at my doorstep. Textured just enough for a unique, handcrafted finish, measuring 25mm (1") in diameter and 3mm (1/8") wide, these earrings can be polished to a brilliant shine, or oxidised (patinated) to highlight the patterns I created in the surface. These are made to order so PLEASE convo me if you need a size not listed. Also please convo me if you need assistance with your sizing. I am only too pleased to help. Oval Hoop Earrings. Sterling Silver. 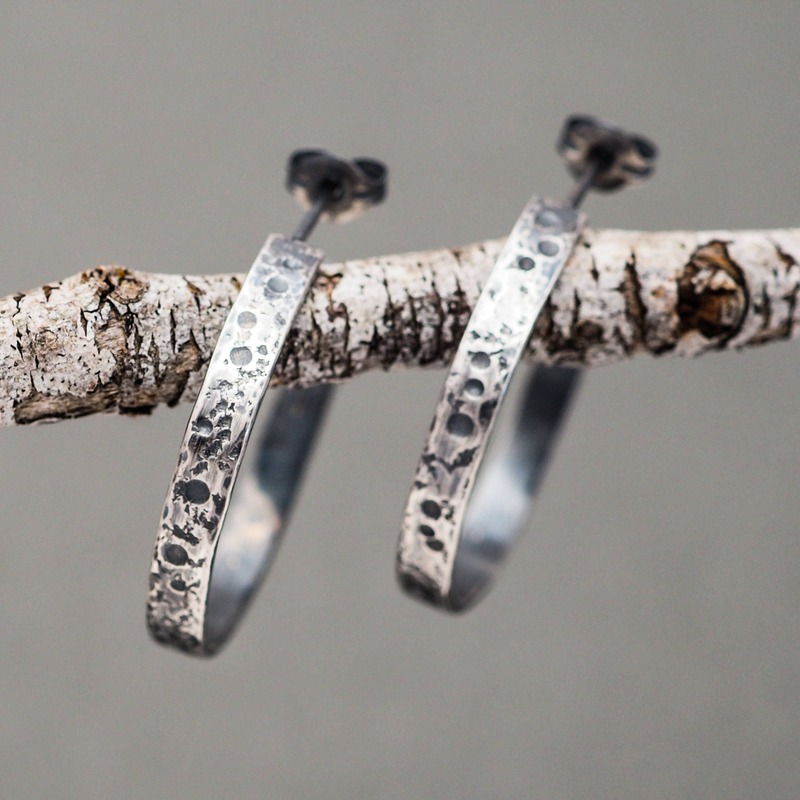 Hammered Hoops. Minimalist Jewellery. Rustic Oxidised Finish. Great shipping, gorgeous quality earrings. So happy with them! Hooley Dooley these earrings are gorgeous in the photo and even more so up close. I have them on now and hubby said they look awesome and they are so comfy to wear. You can tell they’ve been made with skill and care. I’d totally buy from Karen again. Love them! !